Finally! After six weeks of uncertainty surrounding roller derby’s biggest event of the year, the last piece of the puzzle has fallen into place. 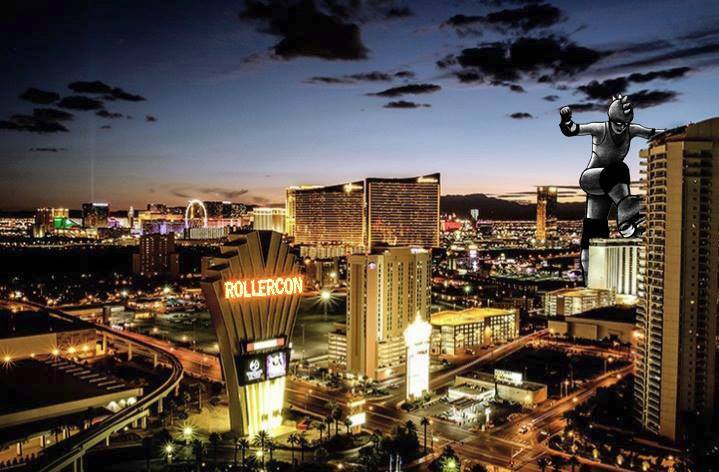 The new location for RollerCon will be the Las Vegas Convention center and the adjacent Westgate Resort Hotel, as revealed recently on RC’s Facebook page. The two venues replace the all-inclusive Riviera Hotel and Casino, the sudden closure of which prompted the move across the street. The dates of the event remain unchanged, July 22-26. An artist’s twice-baked rendition of the Westgate (foreground) and the former RollerCon venue, the Riviera (background, right). The confirmation of the venue change brings a lot of new information that current and prospective attendees need to be made aware of, particularly with the new hotel. The more than 600 of you that had previously reserved rooms at the Riviera using the RollerCon group rate will be happy to hear that your reservations have already been transferred over to the Westgate. However, it will be slightly more expensive—with a better hotel comes higher rates and a resort fee for Wi-Fi access—so be aware of that. Those that did not reserve rooms from the group block, or procrastinated and haven’t yet done so1, will be on their own to score a hotel room there. The Westgate website currently shows rooms as unavailable during RollerCon, but don’t panic! This is because they are being held for us, and will be made available at a later date. RollerCon will let everyone know when that time comes. Scoring a room at the attached hotel will be ideal, however, because the Las Vegas Convention center is massive. So massive, RollerCon is adding two additional tracks for games and training sessions, for a total of nine tracks. Nine! There will still be three challenge tracks, though the usual setup will come with a small change. Starting this year, Track 1 will be used exclusively for full-length featured games and high-profile challenge bouts. This move was made to prevent headlining games from overlapping each other, which should make a lot of bout-watchers happy. Track 2 will become all half-hour challenge bouts all the time as a result, and Track 3 will be used for scrimmaging and warm-ups as always. On the training side, a new MVP track has been added, bringing the number of training tracks to five. 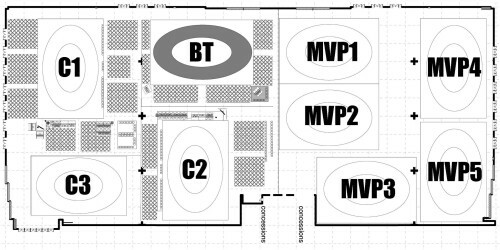 To help fill them, RollerCon has released 250 new MVP passes. As of this writing, there are some available. However, odds are that they will be gone sometime between now and July. If you want one, you’d better get one! As you read this, RollerCon is busy filling out schedules. In a few weeks we should get a pretty solid idea of just how much roller derby we’re in for at the convention center. It’s going to be a ton, that’s for sure! Remember to check back to RollerDerbyNotes.com for RollerCon coverage before, during, and after the show. RollerCon just confirmed the addition of CRDi yesterday; those with WFTDA insurance will need a USARS event pass unless something changes between now and July.